Here's a great wardrobe basic that is perfect for layering. 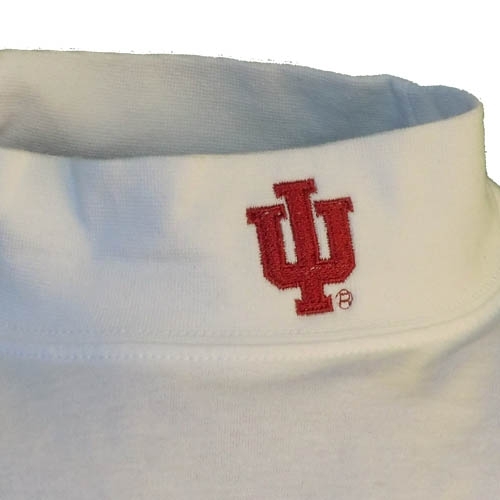 This mock turtleneck is white with a crimson IU embroidered on the neck. 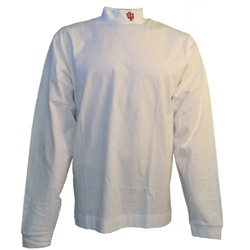 Made of plush 100% Tanguis cotton jersey and is super soft. Unisex (men's) sizing up to 4XL!